The rules have changed. Development drivers that will be effective in the future will not be the same as those that have worked in the past. The hotel market continues to undergo a fundamental transformation. Thanks to the industry’s accelerated digitalization, prices have become more transparent and visible, and hotels have become increasingly reliant on online distributors, which have already grabbed more than 50 percent of the value of some tourism market in less than a decade. The rules of the game have been changing rapidly, tilting the playing field in favor of digital players. But the reality is far more complex than the story of online upstarts overtaking industry incumbents. In actuality, the market has seen the gradual formation of a fragile balance of power. Although digital intermediaries have built large customer bases and a growing inventory of offers, their bargaining power has mostly become stronger with independent hotels. Indeed, the latter are paying a heavy price in the form of high commissions that can reach up to 30 percent of the nightly price in some cases. Hotel chains, on the other hand, have certainly not had their final say. Not only are they supported by ambitious development plans, but more importantly, they maintain control of the entire customer itinerary and can act at each point of contact. Nevertheless, a quiet battle is now being waged for control of the customer relationship – one of the main keys to success in an industry undergoing fundamental shifts. To meet a constantly rising demand (50 percent more international tourists by 2020), hotel chains have been announcing ambitious development plans that have required them to adapt their asset ownership models. Moreover, to support that growth and to cope with the downward pressure on prices, hotel operators must continue to develop their knowhow in order to reinforce the operational excellence and industrialization of their platforms. And finally, in the context of channel proliferation, all players – chains, independents, and distributors – are preparing to lock horns in a decisive battle to gain control of the allimportant relationship with the end customer. In the space of a few short years, hotel chains have profoundly modified their asset ownership strategy and are gradually moving those portfolios toward an asset-light model. The substantial development of franchised or management ownership models that are less capital-intensive enables accelerated growth while reducing risks and allowing to amortize the growing fixed cost base that is connected with the required development of sales and marketing platforms. 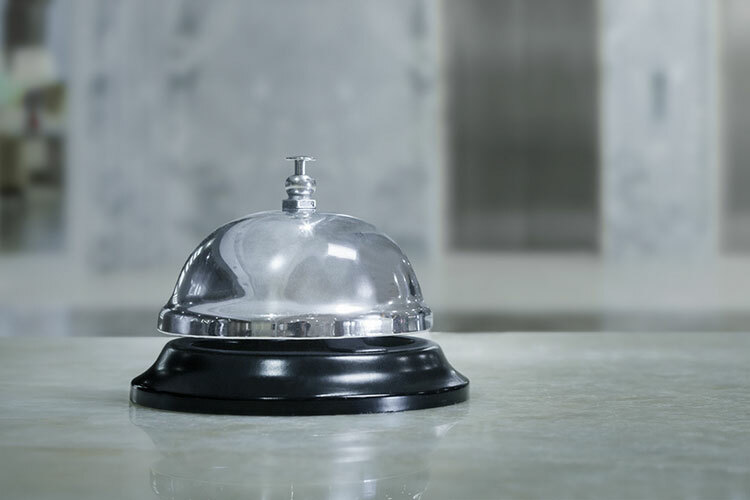 In this new model, the hotel profession is evolving toward a B-to-B service in which the value proposition of the franchisor or the management company is focused on generating a higher RevPAR from its brand, operational know-how, and efficient sales platform. Although this strategy is now increasingly commonplace due to its more attractive risk profile, other ownership models may nonetheless turn out to be lucrative and beter adapted in some situations. For example, owning and operating assets in the luxury segment provides a player with control over investment and renovation programs. Finally, certain hotel operators such as Banyan Tree have used REIT (Real Estate Investment Trust) vehicles as an effective mechanism to raise funds (where local tax laws are attractive) and then use that capital to increase their portfolio of directly owned assets. These new strategies also have direct impacts on operations: new above-hotel organizational models emerge for certain critical skills sets (e.g., Finance, HR, Sales, Revenue Management). Beyond the fact they generate higher profitability (+5% to +10%), they are also considered as critical enablers for growth and scale, especially in some emerging markets, where the relevant skill sets are typically scarce and traditional at-property models just can’t scale. To support accelerated growth and to cope with the downward pressure on prices, hotel operators must rapidly reinforce the industrialization of their sales distribution platforms with sophisticated dynamic pricing and revenue management methods, CRM performance, and better channel management. As an example, sophisticated dynamic pricing and revenue management techniques can now be used to make the optimum tradeoffs between volume and margin based on historical and competitive data at a very fine level of granularity (season, type of product, customer origin, etc.). These methods evolve toward more segmented approaches: smaller hotels need help with above-property support on simple and automated dynamic pricing systems while larger, more sophisticated properties need help setting their overall pricing structure and invest in better understanding how they should respond to corporate and MICE rate solicitations and group pricing. Hotel operators with the most successful dynamic and segmented systems, imbedded with an above property model, have generated gains of 3 to 10 percent of additional revenues and far more in profits (with labor cost savings on Revenue Management team going up to 50 percent, through a reduction of team size and a focus on higher skilled employees). But price-positioning optimization is a tricky process, requiring the careful consideration of the impact on margin. Unfortunately, many turnkey solutions on the market fail to take into account the margin levels by site. This profound transformation requires to invest on the one hand in analytical skills and on the other hand in agile and ergonomic support decision tools to handle a new level of complexity. The battle waged between hotel operators and their intermediaries will center at a crucial location: control of the customer relationship. Each side currently has information the other does not: hotel operators have information relative to buying behavior throughout the customer itinerary (particularly during the hotel stay), while OTAs are able to track reservations by a single customer at different hotel chains. Given that some OTAs have launched proprietary loyalty programs, such as Expedia’s Expedia Rewards, hotel chains must now reinforce their control of the customer relationship. This means implementing richer and more differentiating loyalty programs and CRM that are better adapted to the changing needs of customers. Excellence in capturing and exploiting customer information will be crucial in defending market share. Specifically, hotel operators must adapt the customer experience to customer behavior in increasingly sophisticated ways through a strong and recognizable brand positioning. CRM performance involves the selection of databases that capture relevant information on customers, and the analysis of this data to identify specific segments and trends (guest analytics). The goal is to ultimately deploy marketing initiatives aimed at winning, developing, and retaining customers according to profile, buying history, and predicted future behavior. All these customized and private offers can be pushed all along the customer experience (prestay, during the stay, …). Channel management has also become critical at a time when the balance of power has never been so favorable for online distributors. This process involves defining the route to market for each customer target and then adapting the tools available to hotel operators to reach those customers. Optimized channel management helps for example to avoid needless online agency commissions, which can reach up to 30 percent in some cases. channel selection behavior. Controlling the customer relationship requires to transform these “online stores “, often purely transactional and cold, and move towards a relational paradigm, offering unique and differentiated services along the customer journey and fully leveraging new mobile capabilities (E-check, after sales services, loyalty program management, hotel amenities and products, available activities in the surrounding environment, ..). The rules have changed. Development drivers that will be effective in the future will not be the same as those that have worked in the past. Is the strategic vision of hotel chains sufficiently ambitious and novel to handle the fundamental shifts in the market? And are senior teams in place in all geographical regions to deploy such a plan? Rapid execution will be a decisive driver. Hotel chains must focus on allocating resources efficiently to the most promising initiatives and geographies. Success will require judicious decisions regarding which initiatives to develop and their sequencing over time. Suitable initiatives must be implemented to reinforce short- and medium-term process deployment. Among the various potential initiatives, what are the investment priorities to optimize the pace of growth and profit without spreading resources too thin? Success means different things to different stakeholders. Aligning the leadership team and stakeholders around the strategic vision is essential. What does success mean to each party? And does the plan clearly and unambiguously state the “why” and “how” of the transformation?